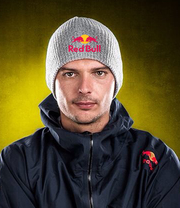 Petar Loncar is proud to call himself the first professional Serbian acro paraglider. Since he was born, he was interested in sports and at 18 years old, he joined the parachute military unit so that he could train in the skies. In Serbia there was virtually no acrobatic flying scene, but after his first live acrobatic flying encounter in 2007, Petar was inspired. He went on to perfect some of the most difficult tricks in acro paragliding, including infinity tumbling, which grabbed the attention of acrobatic flyers around the world. In the years that followed, Petar continued to compete in the world acro cups and aero events, perfecting his skills on expeditions and projects around the world. Copyright © 2017 by Digital Cube.